Vocabulary is an essential part of learning any language. 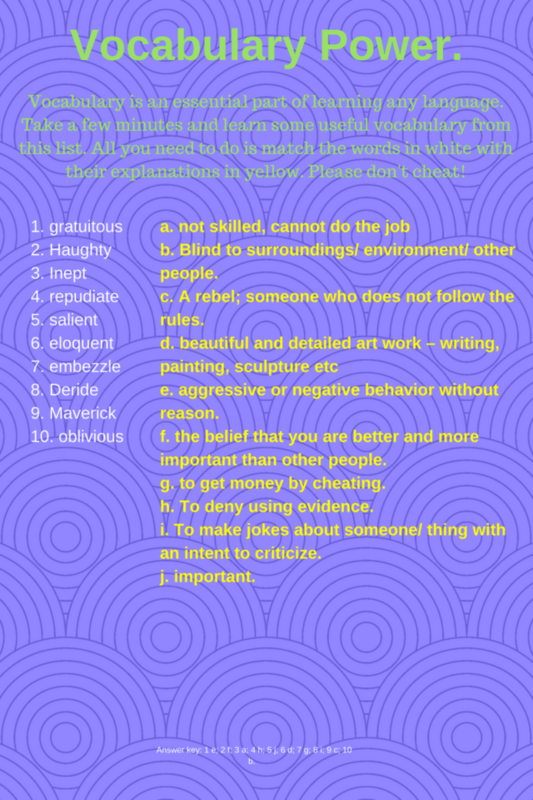 Take a few minutes and learn some useful vocabulary from this list. All you need to do is match the words in white with their explanations in yellow. Please don’t cheat!